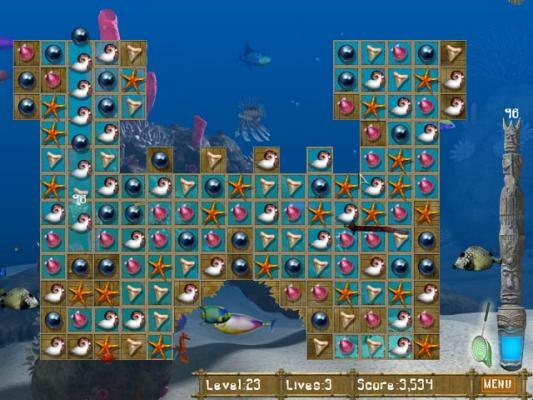 Big Kahuna Reef Go Hawaiian in this gorgeous underwater arcade adventure! 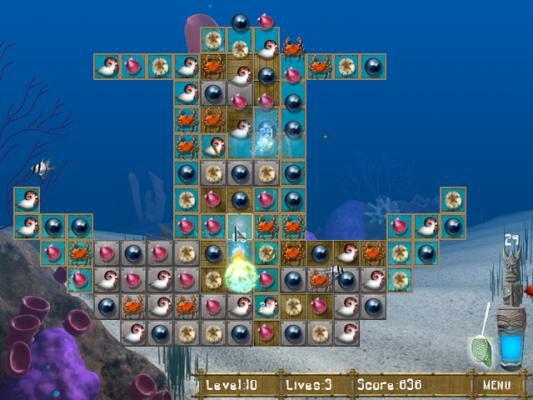 Go Hawaiian in this gorgeous underwater arcade adventure! Dive for the Mask of the Tiki in this stunning match-game of adventure! Lead on Kahuna... your quest awaits! 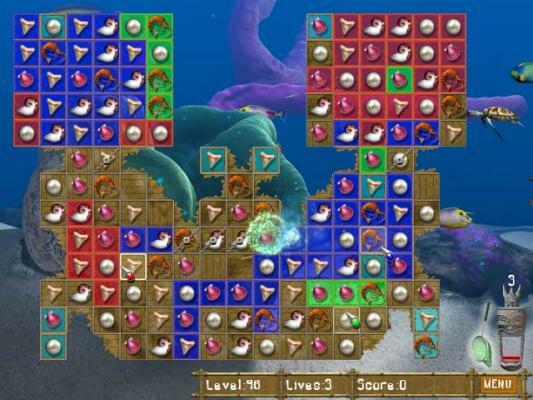 Go Hawaiian in this gorgeous underwater adventure! Discover Sea Turtles and other aquatic life as you break open boxes in this classic style matching game, questing for the Mask of the Tiki. Using the revolutionary Mouse Party, you can play with multiple players on the same computer through an almost infinite number of levels, thanks to the included level editor. 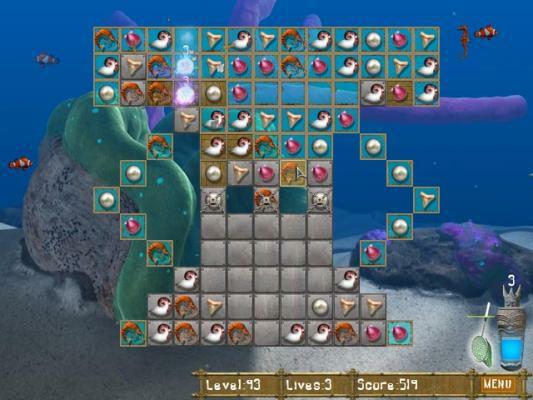 As you play, you will uncover greater challenges including the Skeleton Fish of Kamehameha. Lead on Kahuna...your quest awaits!